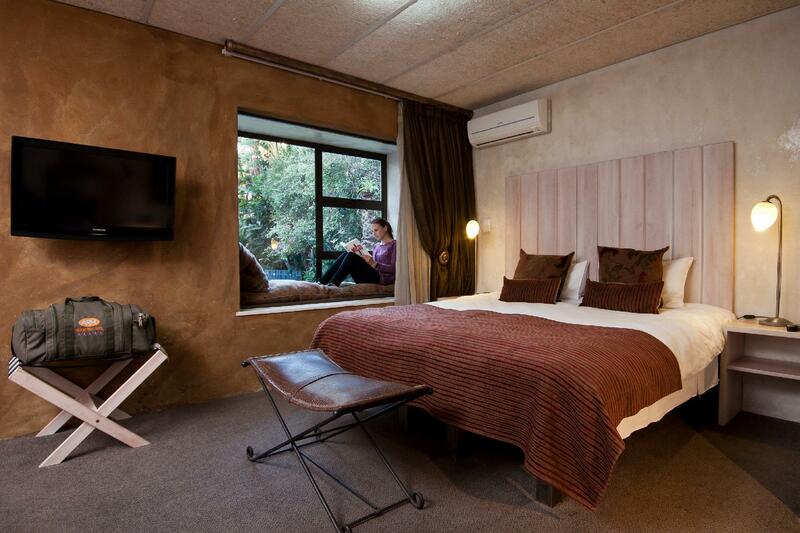 ﻿ African Rock Hotel Johannesburg. JIMAT di Agoda.com! Ada soalan mengenai African Rock Hotel? Dengan lokasi mudah di Johannesburg, African Rock Hotel adalah tempat yang hebat untuk menjelajahi bandar yang menarik ini. Pusat bandar hanya 5. Km jauhnya dan boleh sampai ke lapangan terbang dalam tempoh 20 minit. Tidak kurang hebat adalah akses mudah hotel untuk ke pelbagai daya tarikan dan mercu tanda bandar, seperti Muzium Kebebasan Madiba, Protop Womens Clinic, Lapangan Terbang Antarabangsa OR Tambo. Menawarkan tetamu hotel perkhidmatan yang unggul dan pelbagai kemudahan, African Rock Hotel komited untuk memastikan penginapan anda berada di tahap seberapa selesa yang mungkin. Untuk menamakan beberapa kemudahan di hotel ini, terdapat Wi-Fi percuma semua bilik, pengemasan harian, meja depan 24 jam, fasiliti tetamu kurang upaya, simpanan bagasi. Tetamu boleh memilih dari 9 bilik, semuanya yang akan memberikan suasana ketenangan dan keharmonian. Hotel ini menyediakan kemudahan rekreasi yang baik seperti kolam renang terbuka, rumah urut, taman untuk membuat penginapan anda benar-benar tidak dapat dilupakan. Apapun alasan anda untuk melawat Johannesburg, African Rock Hotel adalah tempat yang sempurna untuk percutian yang menyeronokkan dan menarik. Tetamu yang tiba selepas 08:00 PM harus menghubungi terus pihak penginapan sebelum ketibaan. Harap maklum African Rock Lodge menawarkan pengangkutan lapangan terbang percuma ke dan dari Lapangan Terbang Antarabangsa O.R. Tambo. Jika anda memerlukan pengangkutan lapangan terbang, sila hubungi pihak hotel untuk membuat tempahan. This place is a little jewel. The decor is amazing. Highly recommend . Had a very pleasant stay at this hotel. Food very good, staff superb, room excellent. The pool in the lovely lush garden with the weaver birds making nests was a great way to chill out for a few hours. I would highly recommend this boutique hotel to anyone wanting a welcoming caring place to stay. Staff was generally very helpful and friendly. We had dinner which was very good. Room is comfortable. The food, the staff and the bed. It was good. I was disappointed that it was so far from everything. As there is no central transportation, I was forced to rely on transports arranged by the hotel. The transports were excellent, however, paying $90 US for a trip to the Rosebank Mall was a bit much. There were no restaurants within walking distance of the hotel. The result was I was hostage to the hotel for meals. The food was excellent. I wish I had more choices. I stayed only 2 nights at the hotel, and now I wish it was longer. The room is large and clean, interesting, pleasant design (bathtub in the room). It felt cosy and quiet to stay there. The room had everything I really needed. Airco worked well - cooling as well as heating, large and very good quality bed, internet at request, etc... Amazing breakfast in the morning. Staff and owners are really nice friendly people who try to make your stay as comfortable as possible. All by all a very good experience. Personal service, room location and layout, great food, the finest of small details looked after. 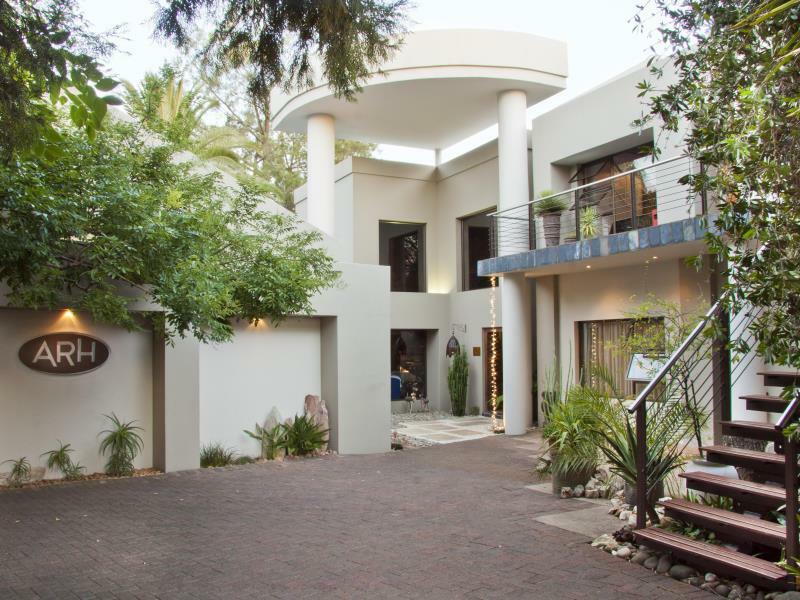 we had endless choices in which to stay our first night in south africa, but feel we made the best choice. the arican rock hotel is a small boutique hotel and they are sticklers on detail. we were met by a personal driver at jnb who again returned us to the airport the next morning. dinner that night and breakfast the next morning we both excellent. will stay here again if and when we make it back to sa. I would say that this is the best place I have stayed!! Our luggage was delayed and the staff bent over backwards to help us out and give us advice on where to go shop for replacement items, they even ended up taking us themselves to the local mall when the taxi didn't show up. Eugene and Collette are absolutely wonderful people and they also know the real meaning of customer service. Christine is (as we read in previous reviews) a fantastic chef and we were spoilt by the standard of food presented at the hotel - We would definitely recommend this hotel to anyone who needs to stay near the airport. Oh yes and the rooms are wonderful too! Sehr gutes Essen im Restaurant. Flughafentrasfer inklusive.